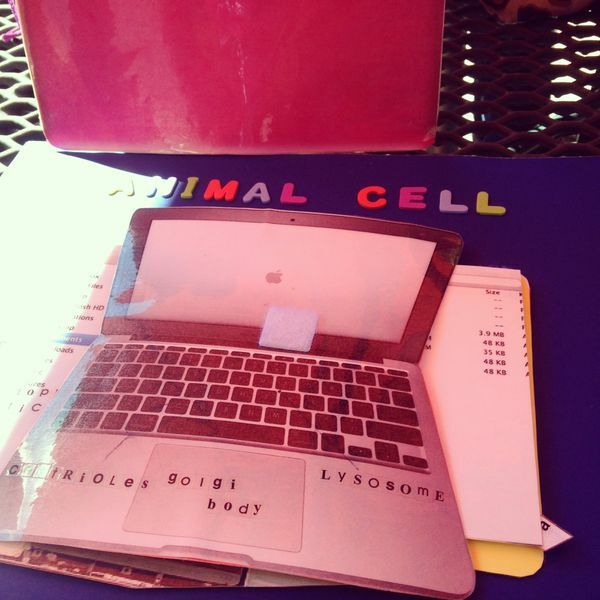 I saw this 7th grade cell project outside at lunch (which is why the quality of the picture is terrible), but I just had to ask her about it. They had to relate the parts and functions of a cell to an object or system that is known by everyone. I saw a few kids making schools and factories, but this was the first time I've seen a computer model. Very creative and she was able to explain the cellular functions to me. Way to go!